Cuerda seca means dry rope in Spanish. It is a technique used in ceramic by which outlines are drawn on the surface of the tile with a syringe containing a greasy substance coloured by an oxide of manganese. The resulting outlines prevent the coloured glazes from mingling. The greasy substance disappears during the baking of the tile and leaves a black line. 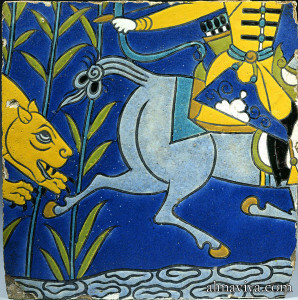 This technique was first developed in the late 14th century in Persia, and was thereafter used in Al-Andalus (present day Spain). 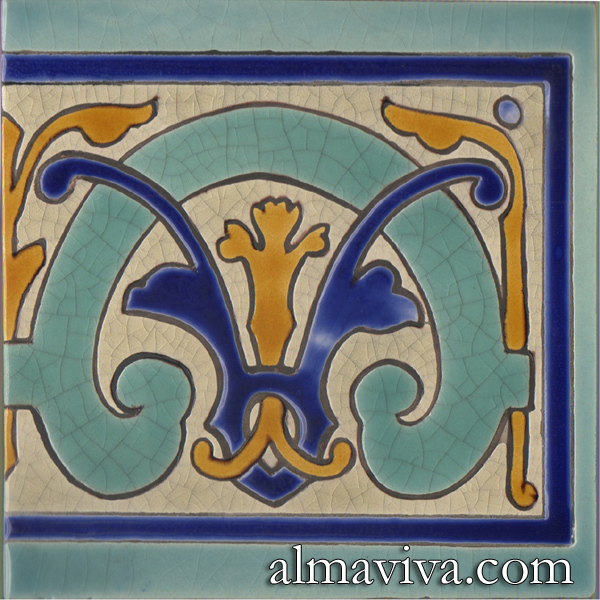 Beautiful examples of hispano-moresque cuerda seca tiles are still in place in the Alhambra of Granada or in the Alcazar of Seville. 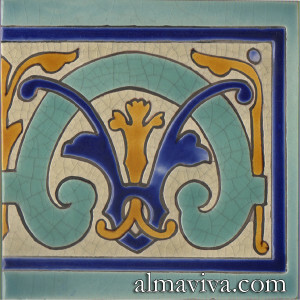 This technique was again much used in the Art Nouveau ceramic tiles and murals.